Not Just a Sunsuit Day 10 – Giveaway Ending! Today we have three amazing last looks for our final day of the “Not Just a Sunsuit” tour! Don’t worry, the inspiration doesn’t need to end today though. 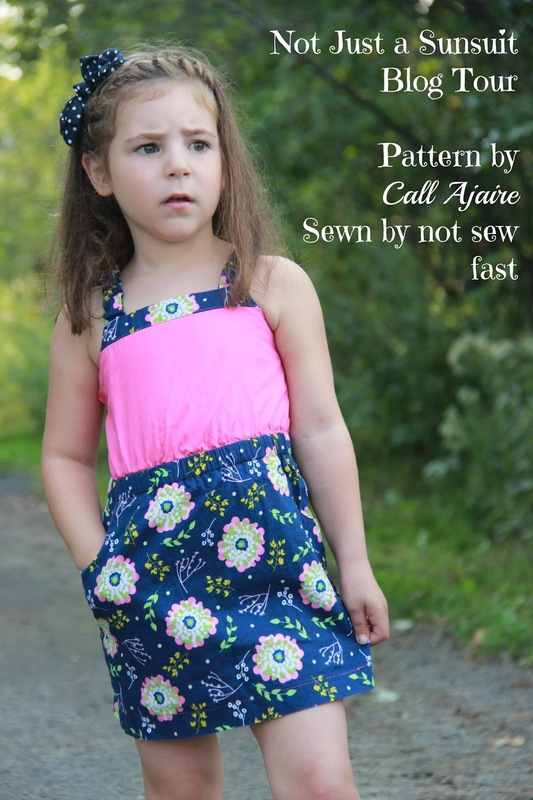 If you sew one up I’d love for you to share it in the Designs by Call Ajaire Facebook group! 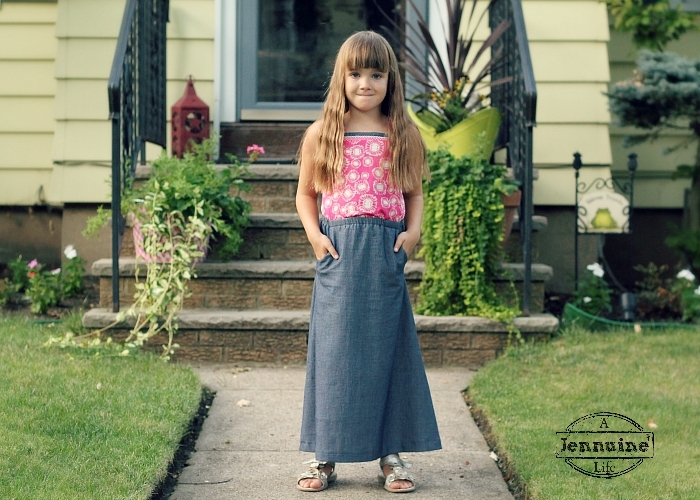 Sara from Made By Sara turned the cropped tank and shorts into an adorable summer sleep set. You’ll love all the sweet pics of her girl so be sure to click over! Sarah from Not Sew Fast made this sweet little jumper version for her girl. Here’s the full post to enjoy. And last – but by no means least – is Jenn from A Jennuine Life. The fabric combination she used for this maxi dress is so good. Word on the street is that her girl chose to wear it for her first day back at school which is the highest of praise! Check out her post for some gorgeous pics.